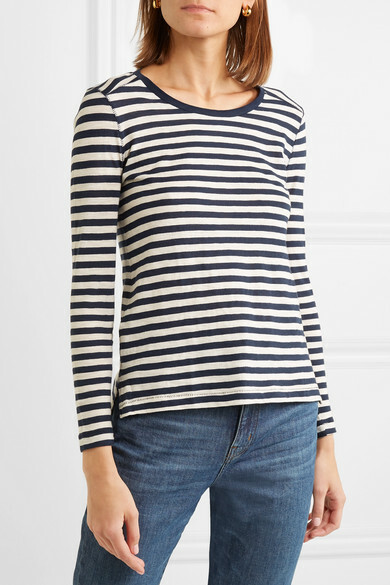 Madewell's 'Whisper' top is made from slub cotton-jersey that feels so light and airy against skin. 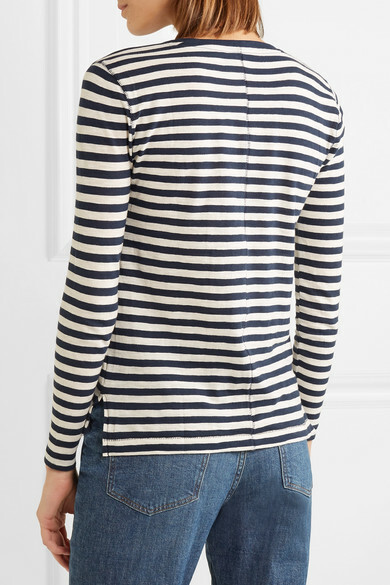 Cut for a relaxed fit, this crew neck style is emblazoned with classic navy and white stripes. 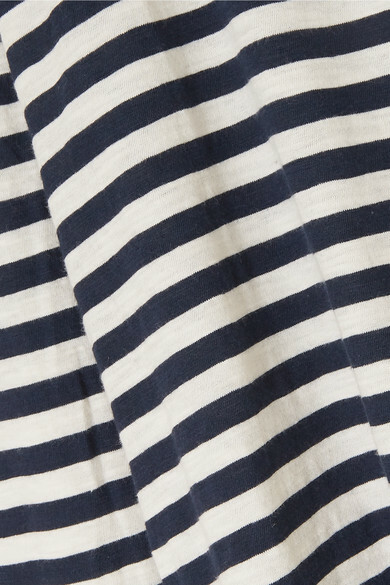 Wear it loosely tucked into blue jeans, then add a printed scarf around your neck or knot it through belt loops. 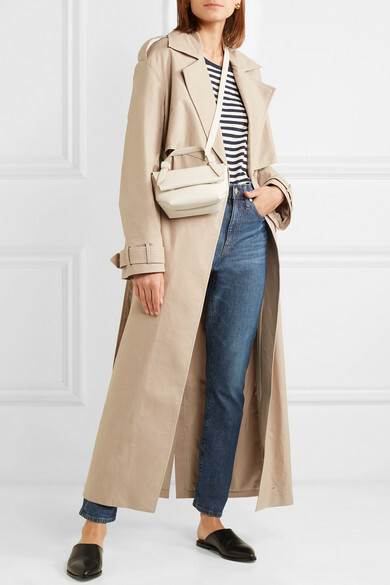 Shown here with: Madewell Jeans, ANNA QUAN Coat, Acne Studios Shoulder bag, ATP Atelier Slippers, Sophie Buhai Earrings.